In 1967, Hammer Studios released the final film in their "Quatermass Trilogy"; Quatermass and the Pit. The film starred Andrew Keir in the role of Professor Quatermass; James Donald as the anthropologist, Dr. Roney; Barbara Shelley as Roney's assistant, Barbara Judd and Julian Glover as Colonel Breen. This film is a perfect entry to the Hammer library of sci-fi films. The casting of Andrew Keir in the role of Professor Quatermass was perfect as Keir brings a strong presence to the role as well as a more soft side that was more difficult to see in the two earlier Quatermass films which starred Brian Donlevy in the role of Quatermass. If you watch just one film from the Quatermass trilogy, I highly recommend this film to be the choice. 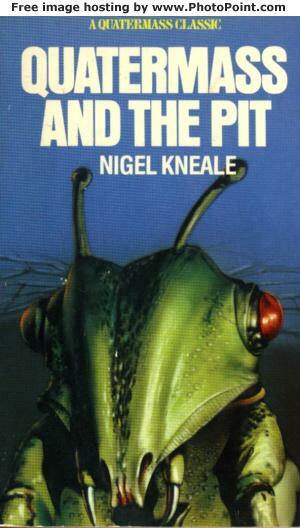 The screenplay was adapted from the Nigel Kneale story and the direction of Roy Ward Baker is flawless.